We analyzed the remote desktop support calls we received from our Australian customers and found a significant percentage were short duration calls of 30mins or less. These calls were for minor issues such as shown in the list below. It seems a lot of people are happy to pay for quick and efficient service if it saves them hours of fiddling around and reading online forums and how-to guides. Our service is flexible. We also offer full remote computer tech support for virus or malware removal, fixing slow computers, system bugs or general software support. 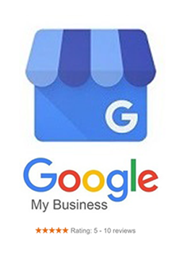 We are based here in Australia and not part of any national franchise. Our office is in Western Australian but we provide remote desktop support to customers all over the country. We're only a phone call away. missing data? often it is not missing, we can find it for you. did you get a fake tech support alert? we can check for intrusion and remove it. These are a sample set of common reasons or recent reasons why people called us. Most of our calls are from not so savvy computer users so they a technician who can talk to them and explain things in plan language. Customer service and leaving a great impression is the key to success in this business. That's why we have grown a local and national list of loyal customers. 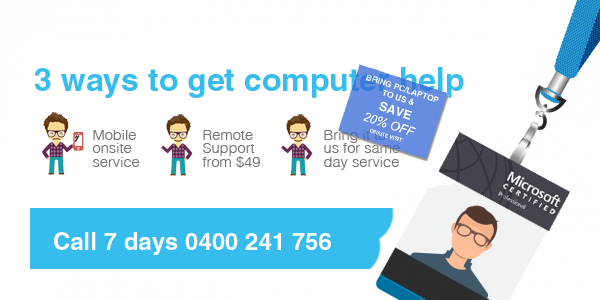 Instant remote desktop support - 7 days a week until around 8pm each evening. How to use this support service in an optimum way. First of all, give us a preliminary call and tell us what the problem is. Some issues are standard general IT and can be fixed by our technician in his/her sleep. But other times we might need to check on the knowledge base or otherwise prepare to fix the problem as quickly as possible in a timely manner. We only charge a one-off payment on the day! We make every effort to understand the issue and the best way to solve it before logging in to your computer or laptop. This helps keep your cost to the minium and keeps our customers happy! Please note, we do not have any hidden surprises such as auto-debit a monthly fee as many do. You can expect honest and reliable service! We charge in 30min blocks. Time to process your payment is not on the clock. Most common question - is your remote access service safe? Computers are digital filing cabinets which store years of work related information, financial records, treasured family photos and so on. There are some anxieties about allowing a stranger access into your computer. 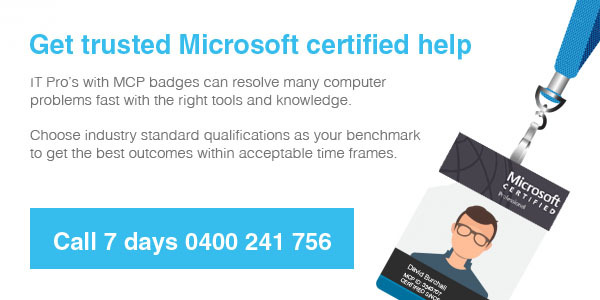 we are Microsoft certified. You can ask for an ID badge number. This can be used to call Microsoft and confirm identity. we only use industry standard remote desktop support tools. These are widely accepted as safe, 256bit encrypted programs. They are easy to download. The RSA or security numbers are changed each time you restart your computer. you can see everything we do. Watch where the mouse goes. If, for some reason, we need to go into the data folders we will explain why and ask for your permission. Mostly, we will only be concerned with system files, not data folders. Our service areas and time zones explained. New customers please note the time zone difference. We are generally available until 8pm Perth time. Adelaide is 2.5 hours ahead of Perth. 11am in South Australia is 8.30am in Perth. Victoria is 3 hours ahead of Perth. 6.30pm is 3.30pm in Perth. Sydney is also 3 hours ahead of Perth. Brisbane and Townsville is 2 hours ahead of Perth. Northern Territory is 1.5 hours ahead of Perth, 5pm is NT is 3.30pm in Perth. What happens if my support job takes longer than expected? Of course, we always aim to resolve your issue quickly. We've been around since 2005 as wiredoffice and we'd like to be around a lot longer. We want to keep customers satisfied. But there are times when a job takes a longer time than expected. If the job takes an hour you will be charged in 30min blocks. However, some people want a complete indepth security scan and remove lots of bugs or malware. This can take several hours but we will agree on a price for the lengthy jobs. Usually capping prices at 2hrs, regardless of how long it takes. Please book your computer early for same day service. Call first to be sure we are not on calls. The first 30min payment is accepted via credit card prior to commencing the support call. Credit card payment systems accepted. We accept most of the normal credit cards. We do not accept card that are merely debit cards, or American Express and other high surcharge cards. Random Helpful tip for Windows 10 computer users! hold down the start key and with your right hand tap the letter x and release. You find more settings or links here to the most commonly used setting. did you know you can switch between user accounts without having to log off and restart. Press the start key and tap the letter L. This will log you out and onto the logon screen. If you have other user accounts you will see them to the left of the screen. What's wrong with your laptop and should you buy a new model? - diagnosis fee only$49. These days it may be wise to hang on to your laptop a little longer because Moore's law doesn't strictly apply anymore. If you have an Intel Core i3, Core i5, or i7, with 4-8GB ram installed, you are not going to do much better when compared to off the shelf laptops. There is also not a huge difference between 7th generation chipsets and 8th gen chipsets. I personally am still using 6th and 7th generation laptops with no issues at all. Like most mechanical/electrical devices, they need maintenance. With computers that could be every six months to a year. You'll be thankful for the performance boost a good maintenance can bring to low or under performing systems. We can also do this servicing via remote desktop support. If you call at the right time we can do this overnight. Plus give you a set price! Remember to have your laptop plugged in to the mains when using remote support.